You know I like to sew right? On occasion I even like to sew clothing! I’ve been excited about the prospect of making a lot of clothes for Max, but I’ve quickly come to realize how hard it is to find good sewing projects for boys. And this is exactly why I was so excited to have a chance to review this book. 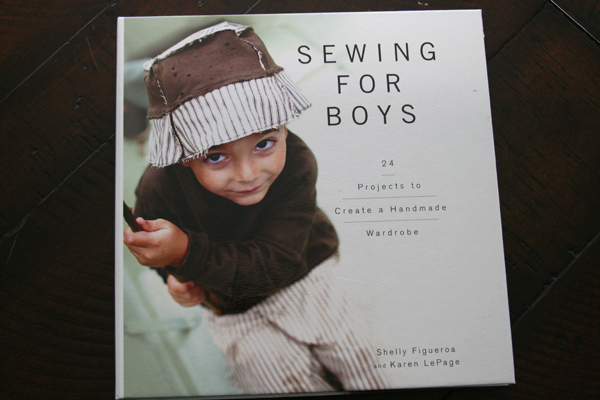 Sewing for Boys is written by Shelly Figueroa and Karen LePage (they also have a very popular pattern company, Patterns by Figgy’s), and is published by Wiley Publishing. Shelly and Karen have done a wonderful job in creating fun and interesting patterns, and as I flipped through the photo portion in the beginning, I could imagine myself making many of these items to add to Max’s wardrobe. I’m not very good at following patterns, but I must say, I followed this one precisely (I think!) and I’m pleased to say that I learned some new techniques along the way. I don’t have a lot of experience making clothing from patterns, but even so, these directions were well-written and I found it to be a very manageable project. And I’m so very pleased with the results! These pants are adorable and have lots of great details and finishing techniques that make them look quite professional. And even though they’re not a perfect fit quite yet, they still look pretty darn cute on him! I’m really excited about this book, and I can’t wait to try out many of the other projects. Next on my list is the Raglan Tee – maybe a little something to pair with these pants? So, do you know a little boy (or girl! many of these patterns would be equally cute for little girls) who might need some new duds? Wiley Publishing is offering a copy of this book to one lucky commenter. Please leave a comment here (one per person, please!) for a chance to win. If you’d like, let me know what’s next on your sewing to do list! I’ll select a winner sometime tomorrow. Edited to add: Comments are now closed. I’ll be announcing the winner shortly! September 9 Noodlehead & Oh, Fransson! This entry was posted in baby, Clothing, Giveaway! 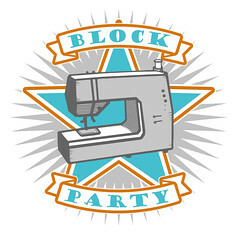 and tagged baby clothes, book, Giveaway!, handmade, Heather Ross, kona artichoke, review, sewing for boys, treasure pocket pants. Bookmark the permalink. 256 Responses to Sewing for Boys – a review + giveaway! I would love to win a copy of this book! I want to make so many of these garments, especially the hoodie. I think it would be equally cute on both my son and daughter. It seems like all of my friends have had boys in the past couple of years (I counted them up, 12 boys vs 2 girls!!!) and I’m always stuck on what to make for them! I would love to win a copy of this book. My daughter loves pink but practical clothes. The Treasure Pocket Pants in pink or purple would be perfect for her! I have a darling little one at home who would definitely benefit from this book! Thanks for the chance to win! Max looks so cute in those pants!! I have 3 friends who just recently had new babies, all of them are boys! I think they’d love some more handmade gifts from me =D Thanks for the giveaway! I love this book and those pants would be very cute on a my girls too! I have tons of patterns for girls, but I need some for boys too! The book sounds wonderful, and your boy is so cute! Max is adorable in his new pants! I am finishing up a batch of bags today, then I’ll be working on some burpclothes and then some girl’s dresses. I was browsing through this book at a friend’s house this past weekend and can’t wait to get a copy for myself! I REALLY love the PJ pattern, so cute! This would be great, my little boy could definitely use some new clothes. I would LOVE to win this book! I have two boys and find it SO hard to come up with anything to sew for them other than more quilts! I would love to be able to make them matching little treausre pocket pants! I so want this book. My girl is going to be styling, but I have nothing for my boys. I am hoping for some inspiration! My next project is probably to finish up some of my UFOs. I don’t think I have time or the energy to start up a new quilt, although I have a few that I really want to start. I probably won’t be able to control myself, IF I can get this baby quilt done before baby arrives! So cute! He looks like he already loves his new pants. I can’t wait to make them myself! This would be awesome! I will get a nephew or niece in October (I suspect it’s a boy, but they won’t tell) and the little one will need some pretty clothes! What’s next is either fleece trousers for a 1st birthday swap I’m in, or a dress for a 2 year old’s birthday… which is already past. Whoops! I would love to win! I have some cute nephews to sew for! I have a sweet baby boy and have the hardest time finding cute patterns and fabrics to make him “manly” clothes. Would love the chance to get this! If I do, those cute little pants will be made next with some warm fabric for this cold weather we are having! I need this book for my gorgeous almost 2 yr old (who is currently wondering around with a pink bag on his arm!) I love to sew for his 2 big sisters but never see boy patterns that I feel a need to make – until now! My next sewing project? I’ve just finished a quilt for the boy mentioned above and am looking for a quicker project to tackle next! This could be just the thing. Hi, This is a great book and I can’t wait to get my hands on a copy (hopefully I will win it in the giveaway!). My next sewing project is a pair of oven mittens for my self, but I have also a baby shower gift planned as well a hoodie for my son. I’m so excited about this book! I have 3 grandsons and have been wanting to sew for them for a while, but haven’t found many cute patterns. These look great! I do a lot of sewing for my g-daughters. My next project is ruffled bloomers for the girls. Gorgeous book! I’d love to make some things for my nephew! Currently working on snack mats for my S.O.’s desk at work. New job! I need to get sewing for my cute little boy. Thanks for the chance! Right now I have a million projects going for my girl. This would help even things out so my son doesn’t get so left out of the sewing goodness! This looks like a wonderful book, and it certainly fills a gap. I’m just learning to sew, and my niece is having a baby who will serve as my guinea pig! My 4yo son could sure use some clothes sewn by his Mama….I usually sew for his three sisters but this book would be fun to try! 🙂 Thanks for the chance to win! So cute, love the tops that they have pictured. I make all my boys pj pants, but the pocket pants are super cute! Would love to win the book! Next project is to make 3 year old grandson some pants that fit. Now that he wears big boy underwear all his pants that actually are long enough in the inseam are too big in the waist. Suspenders and belts hinder his independence now that he is in preschool. If I can only get him to hold still long enough to get some accurate measurements, then everyone will be happy. Thanks for the great drawing. Well, my daughter has tons of mommy-made clothes, but I’m at a loss as to what to make for our new little guy, so this would be perfect! I love those pants too, and when I first saw the book, the first thing on my to-do list was the Raglan T-Shirt! My baby boy is just about a month behind your Max – I love seeing your new ideas of sewing projects for him, as they inspire me for my little one. Here’s crossing my fingers that I luck out and win this great book! this book would keep him clothed (and keep me entertained) for a long time! I’d love a copy of this book! I’m always slightly bummed when I look for boys clothing,never really finding anything unique.Perhaps the solution is making funky clothing myself! Cheers! It is so great to see a book dedicated to boys! I have one boy already and another on the way. I have many projects always in the works. But usually my boy only gets pj pants because there isn’t much else out there. He loves whatever I make for him so I count myself lucky. Next on my sewing list is fall jackets for my kids. I don’t even have fabric yet and I’m already overwhelmed. I am currently pregnant and we get to find out in October if it is a boy or a girl. Next, I will be sewing the red ridding hood cape from Oliver and S for my daughter for this halloween and for fall. And then of course I have many quilts planned out for the little one… just in case it is a girl or a boy! What a great idea for a book. I’m expecting my first, a boy, this December and would love to find some great patterns for him. Seems like everywhere I look there are adorable dress patterns, finally something for the rest of us! Thanks for sharing. I love those pants and would definitely give the fishing hat pattern a try. How cute! I’d love to have this book. My little guy turned 7 weeks old yesterday, but if I start sewing now, he’ll have new clothes before he outgrows them! My first order of business, however, is to make some onesies out of my old t-shirts. What a neat book idea. I remember the days of sewing for my son, now 36, and it wasn’t always easy to find things for boys. I would love to win a copy to donate to our local library. Next on my sewing list are some girly items for a new little baby. Her older sibling is a brother and her parents waited until her birth to find out she was a girl so she seriously needs some girly-ness of her own! Oh my goodness I need this book! It’s so tough to find cute boy sewing patterns. My little man is 9 months so this would be perfect! I’m working on a few baby items for a friend so my next sewing task is to finish that project before the baby comes! Oh, I’d love to win! I’ve been considering buying their raglan tee pattern for a while, and I see it is included in the book! Finally! A book for boys’ clothing!! Would love to be able to make clothes for my son or nephews or friends’ kids! Actually, pants (a bunch of them for all my kids) are next on my sewing list! Would love a copy of that great book. I’m currently attempting a dinosaur costume for my boy’s 2nd birthday gift! It’s my first attempt at clothing & to be honest it’s going better than I (and everyone else) thought! This book would be just the thing to help me produce clothes to wear in public!! Of course there’s no law to say you can’t wear a green n purple dinosaur costume out and about …! My baby boy is almost 5 months old and I love sewing for him. I’ve particularly enjoyed making Anna Maria Horner’s quick change pants- they are just the cutest. This book looks awesome and I’d love to make more things for him. I’m thinking possibly a jacket. I would love this book. I just made some back to school jumpers for my grand daughters and I have not found patterns for my grand son. these are so cute! What a fabulous giveaway! I could certainly use a pattern book like that! What a cool book! Thanks for sharing! Up next… I need to work on a baby blanket for my best friend’s new little boy. Max is adorable! I do believe he gets cuter every time you post a picture. I have two boys, a 5 year old and a 16 month old, and right now my “to make” list is short in comparison to that of their sister. Thank you for the review and giveaway! I think my little boy needs some pants like that! Up next for me is some studio cleaning, and then chasubles for our parish atrium. Those Treasure pants are awesome and a great way to use some fun prints. I think they would make a great addition to any kid wardrobe. I have been looking for something that incorporates prints like AMH pant from Handmade Beginnings, but still look sophisticated, and these are it! And he will grow way faster than you think, as my little dud just turned 2 on the 1st! How did that happen?! I hope what’s next on my list is something from this book! I have three boys, aged 5, 2, and 1. I could definitely put it to good use! I have long been a quilter, now a beginner at clothes. With 2 boys I would love this book to learn to make things for them! So glad to see a book about sewing for boys. I would totally make that cute plaid jacket for my son! A very much needed book!!!!! I have 2 boys (ages 3…just turned …and a 17 month old) This would be perfect for us!!! A hat for my youngest is my next project I think!!! This book looks great! I have a 2 year old boy and another boy coming in November. I would like to make fun clothes for them, but there is a major gap when it comes to patterns for boys! Thanks for sharing the book! I just finished a little apron for my nephew, but I could see that he definitely needs some of these. I know Karen and Shelley and have sewn items from their patterns before and they are great! Need this book so I can make cute stuff for my nephew! Max just keeps getting cuter! I love those pants too. Cooper discovered a love for pockets a month or so ago and I think he’d really dig those pants. I’d love to win the book! And if I don’t, you bet I’ll be buying it. I’d love to win this book! I’ve made plenty of cute outfits for my 6 year old daughter, but I’ve had a hard time finding things for my 18 month old son. You can only make so many Quick Change Trousers….. :). Thanks for the chance to win. The book looks amazing. Right now I’m beginning to work on Christmas gifts. We will be welcoming our third child at the beginning of December so I’m hoping to get gift making done early this year. Cute pants! I’d love to make some for my little guy. Next project for me is a set of bee blocks for my friend Juli Ann. Beautiful fabrics, but pairing up the bold prints is really challenging me at the moment. I would love this book! These pants would be great on my little guy! I’d love to win this book! Those pants you’ve made for Max are so cute, and I have some friends expecting babies in the next couple of months! I have 4 boys and I am always so jealous of all the cute pattern for girls clothes…this book seems fantastic! Next project on my list is to finally take the time to do the binding for my newest little one’s baby quilt. What a cute book! And you are so right! It is so difficult to find good boy patterns- fabric too! I guess I’m just so particular, if I have a boy in April I don’t want him to dress bad. You’ve done so well with Max. He is such a cutie patootie! I’ve seen this book and I seriously want it! I have a 4 yr old son and would love to make some of these pieces for him. I also was drawn to the treasure pants! I’m so excited about this book, so many cute things to make! I’ve been itching to start making some cute stuff for our little 6 month old son, and those Treasure Pocket Pants are adorable! Can’t wait! I’d love to win a copy of this book! Fingers crossed! 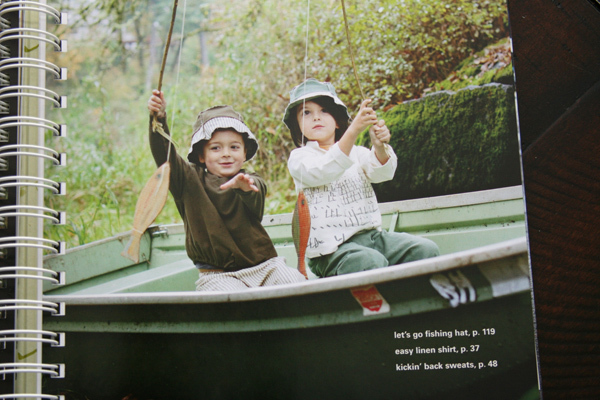 That fishing hat is too cute!! if I win that will be first on the list to do! right now I am finishing a messenger bag! thanks! I’d love to be able to make things for them too! So cute! I’d love to win this to sew more for my little guy. Thanks for the giveaway. Wow this book looks great. I have just seen the racing car playmate..I live the look of that. My 2 boys Noah and aus would love it…as would my little girl. What’s next on my list? Quilting a quilt. I pin basted last night and am ready to go! The next thing on my list after my current project? It’s to start working on blocks for my online bee! Oooh, I would love to win! My son needs some new clothes, and as he is the only with 4 sisters he doesn’t get a lot sometimes in the way of handmade. Thank you! I’d love a copy of this book. My little boy is just coming up to 7 months so he’d love a copy for me to sew from! NEXT FOR ME IS TO START A CHRISTMAS TABLE RUNNER! I’d love to make some of these fun outfits for my nephews! 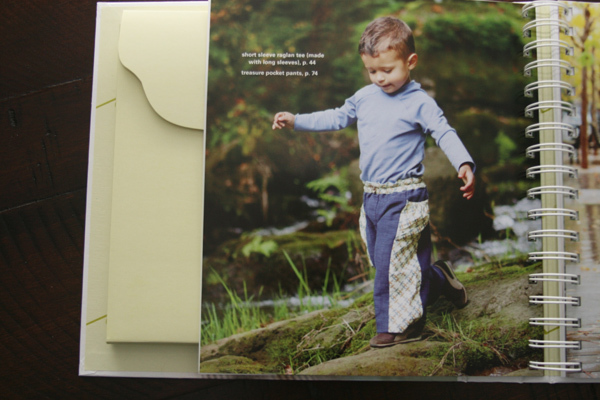 I LOVE the Treasure Pocket Pants too and love the picture of your little guy in his. Too cute. I have a Grandson born just last week who I will be doing sewing for but, as you said, his big sister who just turned 4 yrs old the day before he was born, would love quite a few things I’ve seen so far during the blog tour for this awesome looking book. I would love to win this book! And with 2 lil’ boys in the home it’d be sure to get good use! Thanks for the chance! Those pants are so cute! Would love to try my hand at making some clothes for my middle! Thanks for the chance to win! The next project on my sewing to-do list is our guilds modern quilt challenge with jay carroll’s habitat prints. I have the fabric to make some PJ pant for my little boys! My boys are ages 4 months, 3, and 5. Your little Max is so sweet! My 3 year old we call ‘the collector’ as he is always gathering treasures in his pockets when we are out walking. I would love to win this book! My next project in the queue is a throw for my living room couch out of the neutrals in Miscellany! Those pants are adorable! I would love to win a copy, as I’ve got a very special nephew who I would love to sew for (and lots of friends with babies on the way!). Thanks, as always! Thanks for the giveaway! Next on my sewing list, curtains for my Pre-K classroom! I’m finishing up a sewing machine cover next! I can’t stop thinking how photogenic that child is! I don’t even have a child (mine is now 18! ), or need a book, or know what the giveaway is. I want to squeeze that little boy. Yummmm!!!! I have a myriad of projects that must be done for fall, starting with some clothes for myself and my daughter. However, that book includes a coat pattern I know would be perfect for my youngest son. I have two he-little people I would love to sew for. This would be a great way of kick start (if I can get away from my quilting) my intention. Don’t need the book, just wanted to say it’s fun yo see Max again! I have a 3 1/2 month old boy who I would love to make clothes for. Your site has been very inspriational, and I’m currently figuring out how to do a quilt binding! We’re adopting a boy and while I love making girl clothes, I’ve never been inspired to sew boy clothes. These patterns look amazing! Max is ADORABLE! I can’t get enough of photos of him. …. for the MQG contest coming up. We are surrounded by many new neighbors…all with little boys! This would definitely come in handy! Next on my list….tote bags for school…backpacks are out! Go figure? I have a naked 10 month old! Fingers crossed becasue this little one needs clothes! I would love to make the treasure pocket pants for my little guy and i know his three big sisters would love a pair for their beach and forest treasures!! Have three grandsons — 12 year old probably doesn’t want handmade anything — but the other two certainly would. Looks like a great book — hope I am lucky! Adorable! I have two little boys for whom matching pairs of rocket-ship pants are long-overdue. Next on my sewing to-do list is a dress for my daughter, already cut and waiting to be sewn. Boy, do I owe my son some stuff, though–this book looks like just the ticket! I certainly thought of you and Max when I began seeing this book make its tour. No surprise it stopped at your place. The clothes are great looking- comfy and stylish. Thanks for the review and giveaway. I am so excited about this book! Next on my sewing list is a baby shower gift for a coming-soon boy! I have two boys and would love to win this book. Next on my sewing list are Halloween costumes for the family. Oh, I so (sew?) want to get my hands on this book! My son is in desperate need of some new (longer) pants. I love so many of the designs I’ve seen from this book. Thanks for the chance. Love those pants. I think the boy things market is under done, and this does fill a hole that was very much needed. So exciting!! My little man would so appreciate some hand mades from this book! Hmmm, I could sure use this book. I have two boys and eight nephews!! What a cute book! I would love a chance to win it! Next up on my to sew list is something for my sister’s baby! I just love this book, it seems to have a great selection of boy items to sew for my little guy! Finally someone wrote a book dedicated for clothes for boys! Cute patterns too! LOVE this book! I have 2 sons that would benefit from this book and a couple of girls as well. LOVE Max’s pants… I’d love to give those a whirl. Thanks for the giveaway! Oh, I like this book. I’ve two boys. My next thing to sew is a tepee (or wigwam) for my boys. I have two young nephews who I am sure are tired of getting quilts from me. with this book, I could gift them with new cool clothes. Thanks for the great giveaway. would love this book for both kiddos, girl and boy! looks like a wonderful book! i’m currently sewing up some fall clothes for my little boy. This would be perfect to get ideas for my little niece. There are many things on my sewing to do list, such as some wallets and clutches. You always make the cutest little pants for him! Love it! Next on my list is to revamp a pair on corduory pants into a skirt for me! I have a niece having a little boy tomorrow and I would love to make Xander some adorable clothes! I am right now working on a dress for my youngest daughter…I enjoy making clothes…quick reward! Good lookin’ pants — Max will get rave reviews from the toddler set. He’s a lucky guy to have a mom who can do smashing clothes. oh, I’d love to win. Those pants look so cool, I’m sure they’d be nice and comfy for my 5-year old. So awesome! It’s true — now that the book is out, I wonder why it took so long for someone to publish a book of boys’ patterns? Hope a men’s one is soon to come! I have 2 boys ages 6 mo and 3 years, this would be perfect! My next project is bibs and burbs for an expecting mom. I love the pants, the fabrics work really well together and this totally looks like something you bought at some fancy boutique. Love it! Next up on my sewing to-do is a haloween costume for my my kids. I’m stumped on a costume for my son, he changes his mind every day! Next on my sewing list is a pair of little woo cardigans from Patterns By Figgys for my girls. I’m sure my son will be jealous, so I’d love to have a copy of this book to make something for him too! Thanks for the chance to win! It’s time for pants. my boys are 2 and 4 years old. I actually already ordered a copy of this book for my sister, who is expecting a boy, but I would love to have a copy for myself so I don’t have to steal hers! (Why else do you think I bought it?!) 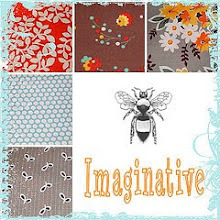 Next on my list is a table mat for fall to put on my newly painted dining room table. Thanks for the wonderful giveaway! Max is just so cute no matter what you put on him. I would love to sew from this book for Grandsons! I’ve been waiting for a book like this! I am going to have to buy this book if I don’t win it! Next up, I’m sewing a paper bag skirt! your little one is growing so quickly! it’s so nice to see a clothes book for boys- they are so often forgotten in that department. i am sewing little boys and girls summer clothes at the moment! Me please!! And Max is just too darn cute! cute pants or trousers as we call them here. I have two little boya that are desperate for Mum to make them something that isn’t another O&S Sailboat top! Would be fab to get my hands on some new, modern boys patterns! I’ve got way too many projects, but I can’t stop piling them on… I’m an addict. I need to make a bunch of stuff for my church’s fall festival, I’m almost finished with some curtains I’m making for my nephew,then a baby blanket for my niece due in early nov, and I really, really need to get the fall clothes started for my son (a good reason for me to win this book), and I’ve got 10 pairs or training pants half done. Want want want! I love that it goes up to a size 7! I do have a little man in mind for some of these cute items. Please enter my name for your drawing and thankns. I love sewing for my girls, but my son’s wardrobe mainly consists of Old Navy pieces. I am hopeful that the pattern goes up to size 7 since he is currently 6! But I know plenty of other little boys to sew for. I have a baby boy, so I’d be sure to put this book to good use! Spring is here, so I’m looking forward to seeing my son’s delicious chubby legs in new pairs of shorts! With a new grandson, I’d love to be able to make all these lovely clothes for him. Thanks for the offer. If the patterns are anything like the Pattern’s by Figgy – it’s gotta be a great book! Your Treasure Pocket Pants are so cute. I’ll definitely make those for my two little boys! Just last week I was explaining to my son that it’s harder to make boys clothes than it is to whip up quick little summer dresses for my daughter. With that in mind I’ve been looking for projects to make him. I would love to win this boo, thanks for the great giveaway! This book looks wonderful. I have three boys and have yet to make any clothing for them because I don’t like most boys clothes — no imagination! These clothes look awesome though and i’d love to try the patterns. Thanks for the giveaway! Finally, a whole book of cute boy patterns!! My boy is only 8 months old but I’ll be needing this soon! Thanks for the giveaway! would love to win this book!!!! So cool!! My next project is more sleep pants for my boy for the winter. Well, right now I am sewing Baby blankets for my future child. I don’t know what we are having so I have to make a couple for a boy and a girl! This would be great for sewing for my grandson. I agree there aren’t many boy clothes patterns out there. Thanks for the giveaway. this book looks fabulous! my next project is figuring out what to make for my godson for his second birthday so this would be perfect! What a great book! I’ve been waiting for a boy specific book like this for awhile. I don’t have any kids of my own but I nanny for 6 boys. YES – 6!! Would love to make some cute stuff for them. Custom pants for my tall 1 year old boy are definitely next on my sewing list! too cute! and a new baby boy – the first great grandchild in our family – arriving in november! i’d love to win this book! i can’t wait to sew some new clothes for my 4 year old. i’m currently finishing his messenger bag, then on to some treasure pocket pants for sure! I just had a baby boy in April and would LOVE to start making things just for him. This book looks great! As the mom of two boys this is exciting! There’s a lack of cute boy stuff in the knitting world too. Hope I win! I sewed for my four kids and now I have two grandsons, 4 years old and 4 months old. Same old problem — not many cute patterns for boys but these are adorable!! Next up for me is a Halloween outfit for both. Thanks!! How cute are those pants! I’m still working on a major block exchange project. Who knows what will be next. I’d love this book! Next up is to finish my son’s quilt. Oooh! Love the treasure pocket pants, too. I just had my first son 2 weeks ago and am dying to make him some super sweet clothes. I have a five year old grandson and I noticed that there are very few patterns for boys. I would love to win this book! This looks like a fantastic book, I have two boys but only really started sewing clothes when my little girl arrived. I would love to try some sewing for them. I would love to make some clothes for my two boys aged 3.5 & 4.5. I’m new to sewing so I need lots of hand-holding so this book would be great for helping me through each stage of the garment construction and getting my confidence. I just made a denim skirt for myself and have not been too thrilled with the final product since the pattern didn’t offered much guidance. Quilts are just so much easier because you don’t have to worry about finishing seams and getting a good fit! The next project on my list is actually the Tee for Two from Pattern by Figgy’s! I just took a serger class today and am itching to give it a try. More boy patterns would be lovely! I could so use this book to sew for my new grandson, I have only sewn for girls in the past and I am looking forward to pants and tops and jackets in boy prints. Thanks for sponsoring the giveaway. And…your Bee quilt is awesome! Just recently had baby boy #2. I’m always looking for new to make for them. Boy oh boy! (Corny, I know) I would love to get my hands on a copy of that. Today was a rainy/sewy day for us, two pairs of pj’s for the little one, and one for Mama. Next project is a DS Picnic/Fairgrounds quilt. Looks like a super book! My next project is to follow your tutorial and make my very first strip quilt! This book looks fabulous; sow many great patterns for boys. 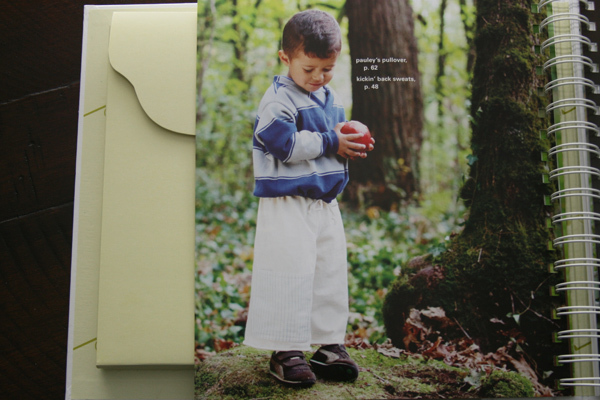 I would make the clothes for Caleb, an adopted son from China who is now 4. My next project…the Tohoku Tote that Ucreate is doing this month. This book looks so great! Our son needs some pajamas, love to use the book for making some! ps – max is adorable! Those treasure pocket pants are awesome- such possibilities! Oh! I love this book!! I have a 2 years boy and Iâ€™d love to win a copy! One of my close friends is about to have baby #3. She has 2 girls, so if this little one is a boy, she will be in need of a whole new range of clothes! And she loves to sew, so this would make a great baby gift! 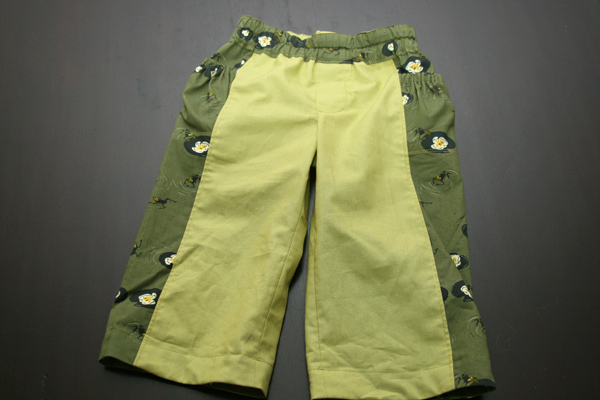 It really is hard to find cute patterns for boys, I’d love to make those pants for my 3 yr old grandson. thanks for the chance to win! Count me in please!!! I have a 23 mo old and I’d LOVE to make those pants and other adorable things for him. I wish there were lots lots more boy ideas out there.Thanks! And max is simply adorable!! I find I have to “wing it” too many times and for once, I’d love to follow a pattern. My to-do list is huge but I would knock some items down the list if I won this book. The first thing I would make would be the PJs for my 2.5 year old. Aaaaah, I have been waiting for this book to come out, and I’m super thrilled to see the blog tour. Those pants are ADORABLE! I have a 20-month old little boy and it’s so hard trying to find modern, fun clothing patterns for him. Looking forward to seeing more of these great patterns! So cute! And what a great book! Thanks for the giveaway! I think that my next project should be something from this book! I love to sew for my little guys and this book looks like a treasure trove of fabulous patterns. Thanks for a chance to win! The world needs more books like this! I’m excited to get my hands on a copy. …next on my to do list is make a panda-shaped patchwork blanket for my son’s 3rd birthday at the end of this month. Next on my list to sew is a baby boy turtle quilt I started 3 months ago…my friend is due in October so I need to finish! Thanks for the chance to win! What a fabulous book! I would love to make some treasure pocket pants for my 9 month old – Arthur. My current project is finishing a simple quilt for Arthur’s room. My next in line WiP is yet another quilt for his room. Hoping he appreciates them someday:) thanks for taking the time to blog! My nephew is growing like a weed – at 8 mos already starting to fit the 18-24mos clothes! This book would be great for me! I’m trying to finish projects as my “next-up” list. A quilt to quilt, a top to piece, and a pair of socks to knit. Busy, busy. with four little guys, i’m thinking this would be perfect for our house! i love that pants! Yay! Boy patterns are hard to come by, thanks for the review and the giveaway! This book looks great! I have been following it around, if I don’t win one, I will definitely be buying it!! Finally, some variety in boys’ clothing patterns! My little 14mo baby boy could certainly use some pants for those new long legs of his. There are two boys in this house that could benefit greatly from this book. Next up on my sewing list is pajama pants for the whole family. At the moment, I’m planning to make velvet swing coats for my daughters. A matching hat would be a nice touch. I would totally sew them for my nephew. This book would be a big help to me. I have 2 grandsons ages 4 and 5 that I like to sew for. You’re right, there are too few great patterns for boys out there. I’m making a changing bag for new parents of a little boy. I am really struggling for ideas for gifts and things for little boys so this book would be a huge help to me. Love those pants! I have a little girl who I sew for constantly, but I’ve been wanting to make a handmade birthday pressie for our neighbor’s little boy in a month. This book looks like it could inspire the making of a perfect little gift! I have several friends with wee baby boys… who all need a pair of those pants! 🙂 Thanks for the giveaway. Yes! I have one that grows like a weed!! Oh this book looks wonderful! I have two girls, but now have two nephews and am always looking for cute boy stuff to make them! Thanks for the chance! I am trying to learn to sew and I have a boy, so this would be perfect! Love the pants! I know a little boy who could wear these clothes! And I know a big girl who would love to win this book! Mm… sounds like a fabulous book! I’ve got bee blocks to make, then dive headfirst into Christmas sewing! I’m already on the waiting list at my library for this book, but I know I’m going to want to keep it–an entire book dedicated to boys clothes! I’m trying to get a jump on making handmade Christmas gifts, and I started a quilt for my mother in law this past weekend. I have a stack of green fleece waiting to be sewn into pigs to complete my son’s Angry Birds collection. Thank you for hosting the great review. I have six grandsons, so I would LOVE to win the giveaway! There are so many cute patterns for girls. I am glad someone has compiled this great collection of patterns for boys. I had my first son a few weeks after Max was born – I can’t wait to sew up cute things for him! I would love to be able to make some clothes for my 4 & 7 year old boys. Next on my to-do is to put together a skirt for my 2 year old daughter- all the pieces are cut, I just need to sew! i got me two boys of knee-ripping, shirt dribbling, arm-wiping, clothes wrecking giftedness. Please help me clothe them. OMG – I would LOVE to win this – it’s so hard to find cute and simply-explained things for boys. There’s much more fabric choice than there used to be, which is great, and I do know little boys who will wear terrific colours, but it is SO HARD to find the patterns and ideas! I love the pants you made for Max and I’d love to make some for my son and his best friend (matching or coordinating!). My kiddo needs some new duds! Those treasure pocket pants are super cute! I would love this…with 3 boys it’s hard to find good patterns and different patterns for them. Right now I’m working on projects for our homeschool sewing classes that I’m teaching. I SO want to make the Henry shirt for my little boy (Henry). And oh, those pants are so sweet. I would love to win, I love Patterns by Figgy and my son just asked me this morning to make more clothes for him. I need some new ideas and patterns! Love these patterns. Thanks for the chance to sew some more! Those pants are so cute! They look nice and easy to make. Up next on my to do list is a yellow and grey quilt for my brother in law’s wedding gift! Max- you’re completely adorable!!!! And I know you’re going to love filling those pants pockets. In my sewing room right now are 6 log cabin pillows in progress. They will be Christmas gifts and I’m making them from the Modern Log Cabin book. This looks like a fun book – and with one boy and another on the way, I would have lots of reason to use it. Although my next project is a quilt for my oldest to use when we move him to a big boy bed. tee-hee! reminds me of a LEISURE SUIT i once made for a boyfriend (in the 70’s). he kept complaining that all of his suit pants pockets were too shallow. so, i made a back pocket that went down to his knees, and then had him drop in his wallet when he tried ’em on. imagine his surprise! ah, yes — those were the days . . . polyester at its finest . . .
Too many projects on the list to count! But I do need to finish the binding on a quilt I promised my daughter would be ready before winter! Fun book! My little guy could totally wear those pants, he’s 18mo almost! Yay! ooh – I would love to make those Treasure Pocket pants!! Actually, I wish they had a pattern for adults too (I collect rocks and these would be perfect ;)) My daughter would probably love a pair too – she takes after her momma in collecting stuff (she’s almost 5). With one little boy, and another on the way, I could def use this book! Poor boys don’t ever get enough handmade things! Pick me! Pick me! My daughter wears almost exclusively “mommy-made.” I live in the southern U.S. and usually dress my son very “traditionally” (i.e. little jon-jons and rompers) for dressier wear, but good, practical, everyday patterns for boys are SO HARD to find! Next up, I’m working on a Lisette pattern for myself…but I have just enough navy linen left for a certain little 16month old….if only I had a pattern….